It’s a conundrum, my loves. Short weeks just seem longer. Why is that? 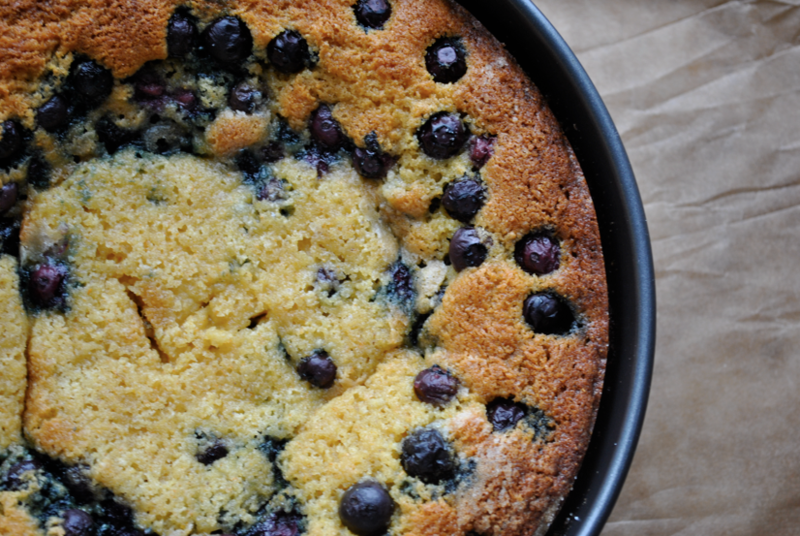 I’m getting by dreaming of this blueberry cornmeal cake from Huckleberry Cafe. 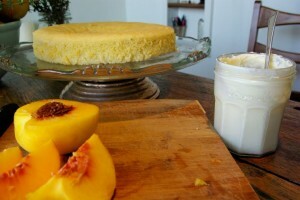 Won’t it make the perfect end-of-summer dessert for Saturday’s brunch service? For Sunday, maybe a classic rice pudding. We’ll tweet pictures this weekend. What’s getting you through hump day? This, my pretties, is not a new recipe. It may even be familiar to you A & O faithful. But because I use it at least once a month and because my last photo was heinous and failed to showcase the pools of fudgy frosting I adore, I’m sharing this with you once again. It makes 48 mini cupcakes, 24 regular-sized and 1 9-inch round cake with batter left over (or 1 9-inch plus a 6-inch round cake for a two-layer chocolate cakeaganza). It goes gluten free without a hitch. Flexibility is part of its charm. 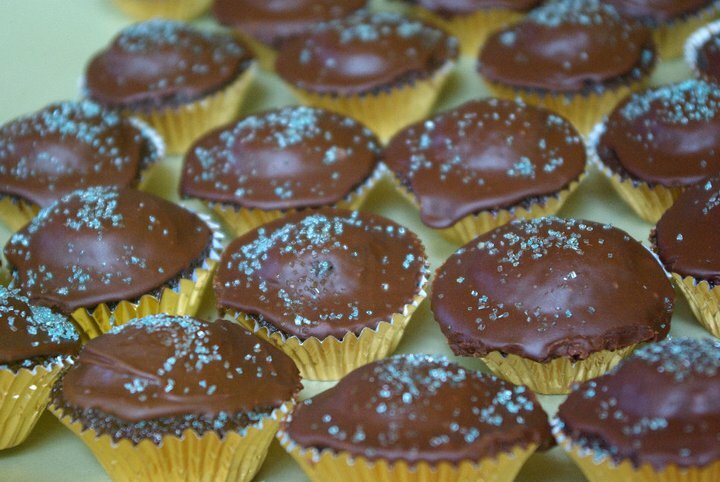 Our pal Beth photographed my last batch with blue sprinkles. Tonight I’m topping them with orange sprinkles and little white ghosts for a Halloween-themed progressive dinner. I’ll also be serving some of Ina’s blood-red velvet minis. The recipe’s in her new cookbook. You need this and one good flourless chocolate cake recipe and you’re good-to-go chocolate-wise for life. you can also add 1/2 cup chopped walnuts or other nuts to the frosting if desired. 1. Preheat the oven to 375 degrees. Butter and flour the cake pan of your choice or line your cupcake tins. 2. 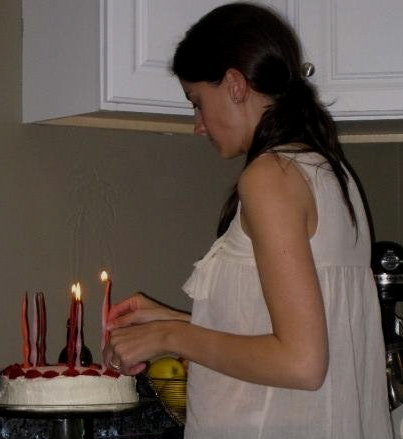 Make the cake. Melt the butter in a medium saucepan over medium heat. Whisk in the cocoa powder and water. Bring to a boil them remove from the heat. Let cool. 3. In a large bowl, mix together the flour, sugar, baking soda and salt. Add the eggs, buttermilk and vanilla. Blend well using a hand held mixer or a strong hand and whisk. Add the cooled cocoa mixture, stirring until just combined. The batter will be thinner than regular cake batters, but this only means you are on your way to making a great cake. Pour the batter into the prepared pan. Bake until a toothpick inserted into the center comes out almost clean, about 20-25 minutes for large cakes, about 12-15 for cupcakes and 8-10 for minis. Let cool completely before frosting. 4. Make the frosting. Melt the butter in a medium saucepan over medium heat. Whisk in the cocoa powder and buttermilk. Bring to a boil then remove from the heat and let cool. Pour into a large mixing bowl. 5. Using a handheld mixer, beat the confectioners’ sugar, vanilla and walnuts into the cocoa mixer. Mix until thoroughly combined and fluffy, about 3 minutes. 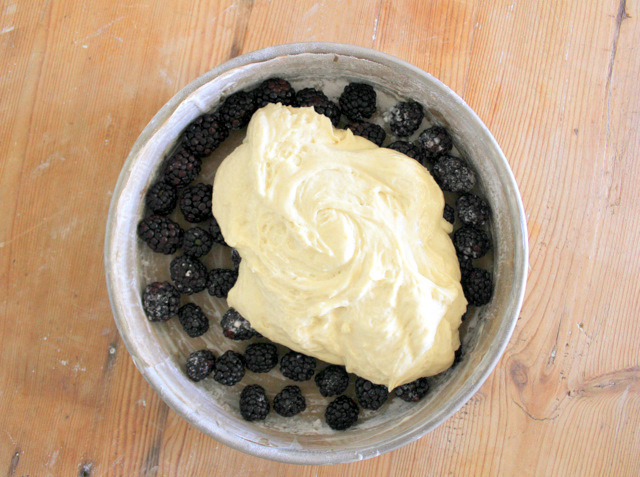 Pour or spread over cooled cake. The frosting will set into a shiny glaze that crackles like thin ice when you cut into it. Beautiful. 6. The secret step. Wrap the cooled and frosted cake loosely in cling wrap and refrigerate it, even if only for an hour or so before serving. Whereas refrigerating tends to dry out baked goods, it dampens this cake so that it’s amazingly dark, dense and moist, just how I envisioned mud pies when I was little. The ingredients—pudding mix, cake mix, creamed sherry—are decidedly un-A &O. But the resulting cake is completely our style. Easy to make, pretty but humble with a fantastic home-style taste. This was my grandmother’s signature cake. Preheat the oven to 350 degrees and lightly grease the pan. 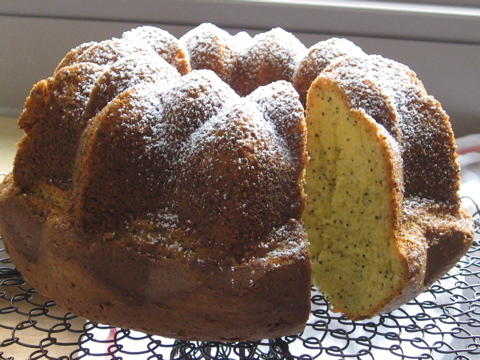 Combine all ingredients except the poppy seeds in a large mixing bowl. Beat with a handheld mixer at medium speed for five full minutes, scraping the sides as needed. You will notice the batter thickening. Gently fold in poppy seeds. Pour into pan and bake until golden brown, about 55-60 minutes. Allow to cool completely before removing from pan. You can use the recipe below to make one 9-inch round cake, a square 8×8, a rectangular 8×13 (for a very thin but rich cake) or to fill 2 cupcake or mini-cupcake tins. 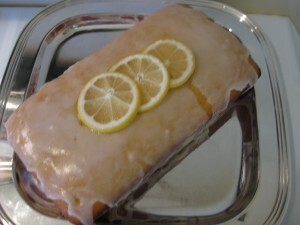 It is equally delicious gluten-free, which is how I make it for Lydia’s FIANCEE (!! ), dear Drew. 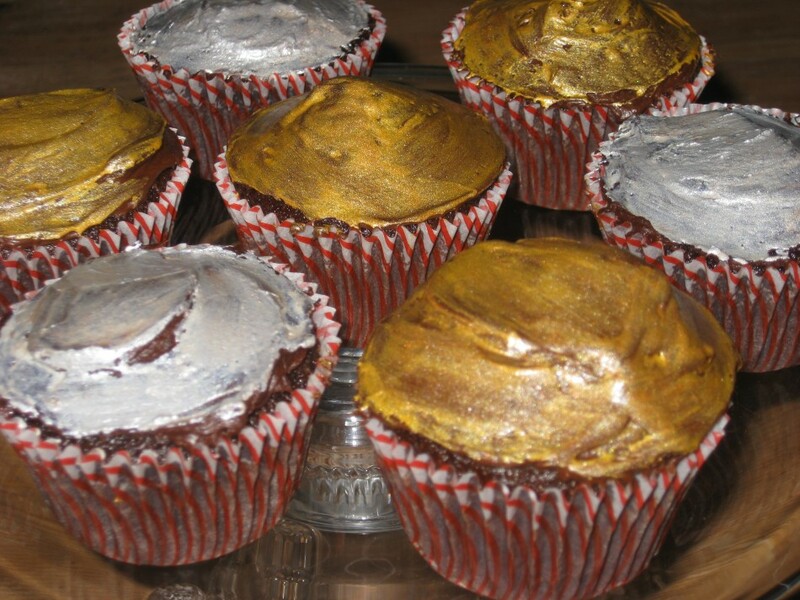 What you’re looking at are the cupcakes from Lydia’s birthday which I gilded and silvered because it was fun and unlike how I normally handle foodstuffs. I usually like my food to look like food, not mini spaceships. Lydia’s birthday had a chic Mad Men theme and so I decided to turn these cupcakes into homemade Hostess Cupcakes, complete with a mascarpone cream stuffed center. I got the idea from Sarah Magid’s charming Organic and Chic. Her baked goodies are beautiful and whimsical and fun and her voice is thoughtful and loving and kind. And she likes to use paints, such as these. So I went for it and the cakes sparkled and shone and tasted extra special. Had I remembered to take a shot before I began painting, you’d see the a shiny, crackly buttermilk frosting that is, quite simply, the bomb, and a definite upgrade from the original Hostess Cupcake glaze. Enjoy and best wishes for a happy, healthy 2010. * Fern gave Angus and I a beautiful pewter cake server as a wedding present-little does she know how perfectly appropriate a gift it was. 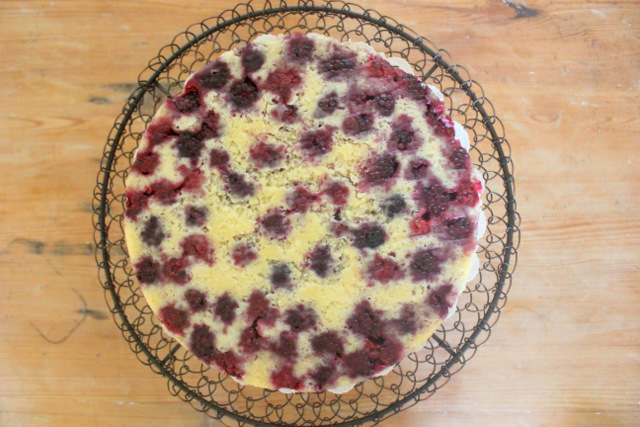 This is the quintessential light cake of summer. Fruity, eggy, sweet and yet refreshingly tart. 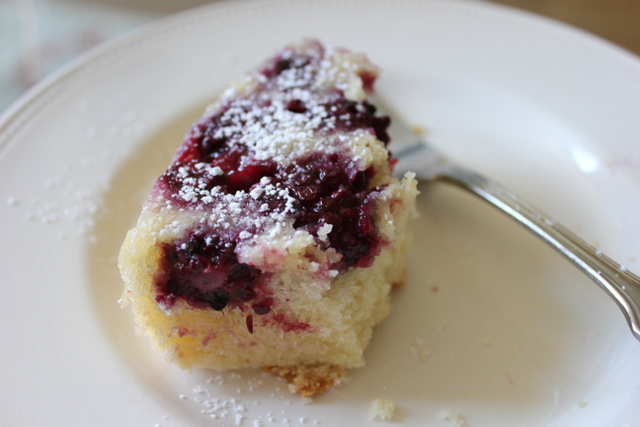 The olive oil and yogurt give a divine spongy texture. 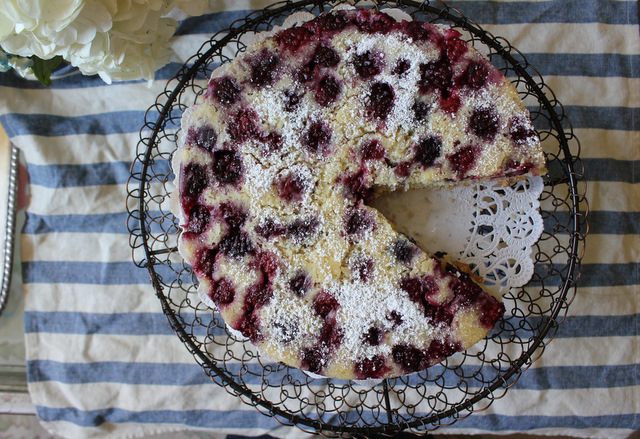 Serve it for a luncheon or at a dinner party with fresh berries. Pack thick slices wrapped in parchment paper for the beach. Best part, no mixer or beater required, just a spoon! Bring the eggs to room temperature. Preheat the oven to 350 degrees. Grease a loaf pan and line the bottom with parchment paper. Grease and flour the pan. Sift together the flour, baking powder, and salt into a bowl. In another bowl, whisk together the yogurt, 1 cup sugar, the eggs, lemon zest, and vanilla. Slowly whisk the dry ingredients into the wet ingredients. Fold the olive oil into the batter, making sure it’s well incorporated. Pour the batter into the prepared pan and bake for about 50 minutes, or until a cake tester placed in the center of the loaf comes out clean. 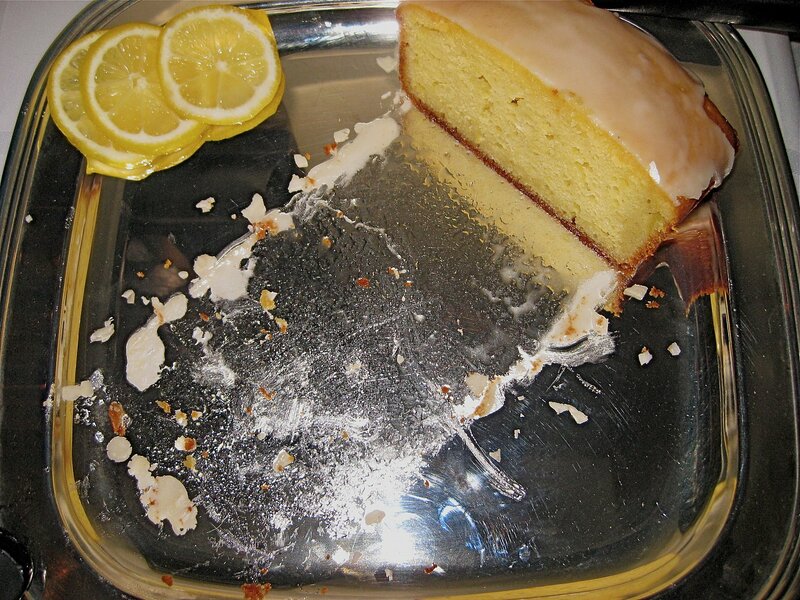 For the glaze, combine the confectioners’ sugar and lemon juice and pour over the cake. Best eaten within 3 days of baking.